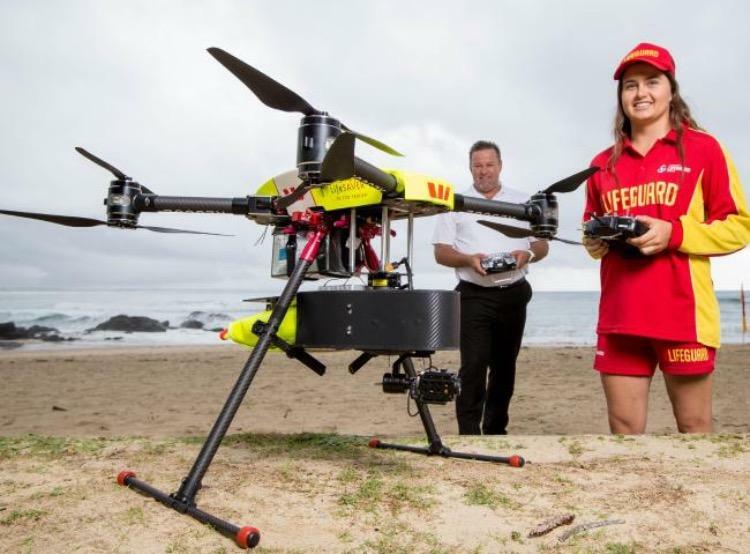 Australian lifeguards have used a drone to rescue two swimmers caught in strong surf in what officials in the country say was a "world first" success for the new technology. A beach goer spotted the two teenagers struggling off the coast of Lennox Head beach, in New South Wales state north of Sydney on Thursday and reported them to the lifeguards. According to the Reuters news agency, the guards quickly deployed their Westpac Little Ripper Lifesaver drone, which carries an inflatable float that can be dropped into the water. Within minutes the lifeguards receiving the report, the flotation device was dropped and the two boys, 16 and 17 years old, were able to use it to swim back to shore, exhausted but otherwise unscathed. New South Wales Deputy Premier John Barilaro was among officials who called the rescue a "world first," according to Australian media. He said use of the drone also enabled the lifeguards to reach the struggling swimmers much more quickly than they would have been able to swimming out themselves. Reuters says that, according to Australia's Royal Life Saving Society, the country saw 291 drowning deaths in the 12 months leading up to July 2017.